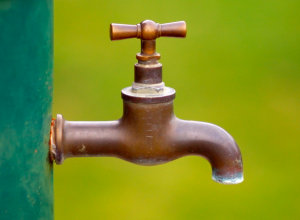 You might think that taps are pretty simple contraptions. They’re the kind of thing that we take for granted – after all, there’s not a day where you don’t use a tap at least once. Yet many bathroom design experts will tell you that there’s more to taps than meets the eye. This is something you will discover if you ever find yourself in the position of choosing brand new taps for your bathroom. So here it is: the ultimate guide to the humble tap! Chances are, you’ve come across plenty of different types of taps in your time. Because different taps are needed for different functions, it’s worth knowing what kind of tap you’re going to be shopping for. If you’re curious to find out about the ins and outs of tap functionality, you can see how taps work here. Basin taps: These are very common in standard bathrooms and are fitted over a sink for the purpose of washing hands. They feature small, low height design which you won’t see on a kitchen sink, purely because their reach isn’t long enough. Usually fitted with a simple star-shaped turn, basin taps can come in a variety of finishes. There are always two taps involved- one for hot and one for cold. They are usually marked with red or blue accordingly. If you are after a more designer effect for your bathroom, long spout basin taps are a great option. That said, they do not suit smaller sinks as a result of their elongated size. Bath taps: Interestingly, taps made specifically for the bath are a little different in design. Standard dual bath taps are often made with a tilt to the spout which is designed to effectively clear the rim of the bath and avoid a build-up of limescale below the flow of water. Monobloc basin tap: These kinds of taps offer a two in one function with mixed water flowing from one single spout. Monobloc taps can often include a pop-up waste, although this is highly dependent on the design of the bath or sink in question. 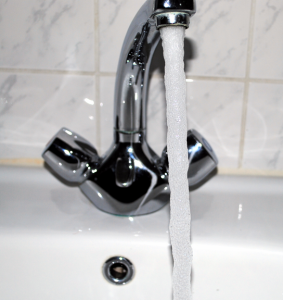 Bath filler: In general, there are two types of common bath filler taps. The ‘deck’ filler sits flat on the rim of the bath and works much in the same way that a monobloc basin tap does, mixing the hot and cold water accordingly. A ‘pillar’ tap sits on the bath rim on two ‘pillars,’ each issuing a flow of hot and cold water. Bath or shower mixer: These taps are often seen in the ‘deck’ bath filler design, the only difference being the diverter valve which allows the connection of a shower hose. These types of taps are excellent if you want to have shower and bath water coming from the same source. It’s a design option that is featured in many luxury bathrooms. It might be worth taking a look at electric showers before choosing a bath or shower mixer – you can browse Mira electric showers here for a great range of design ideas. Pop-up waste: This is the term which refers to the plug in a bath or sink which is raised or lowered via a lift rod, cable or trip lever. You’ll see it in place of a rubber plug as it can quite easily handle any blockages in the drainage system. Thermostatic: Taps of this type include thermostatic control to ensure water is mixed at the right temperature. Shower mixer valves: These are essentially large taps which are inset or surface mounted into the wall above the bath. They can be purchased with thermostatic or manual options.